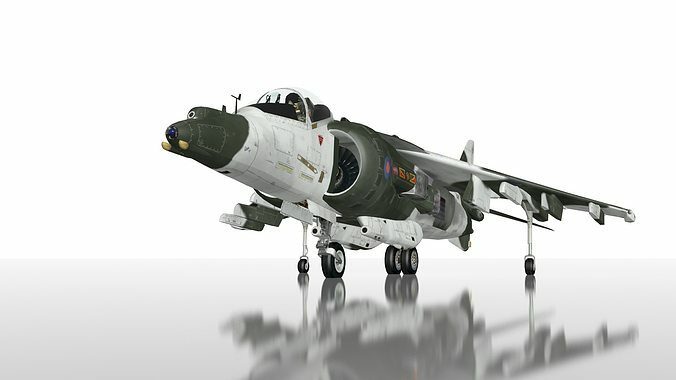 RAF Harrier GR7 military aircraft with three paint schemes, Arctic, Camo, and Grey. Standard low poly game ready model. Thank you for your comments. All my models will be updated with the latest file formats and 4K textures very soon. I also intend to showpiece each model with Unity 5 animations. This model is in 237 pieces and wont import into any game engine without the help of an artist to fix it up first.